There are many reasons why you might want to cancel your A2X Subscription. If the reason is that you are dissatisfied with the product or our service, please get in touch with us. We would love the opportunity to solve any issues you have encountered. Canceling your subscription stops billing by our automated service. 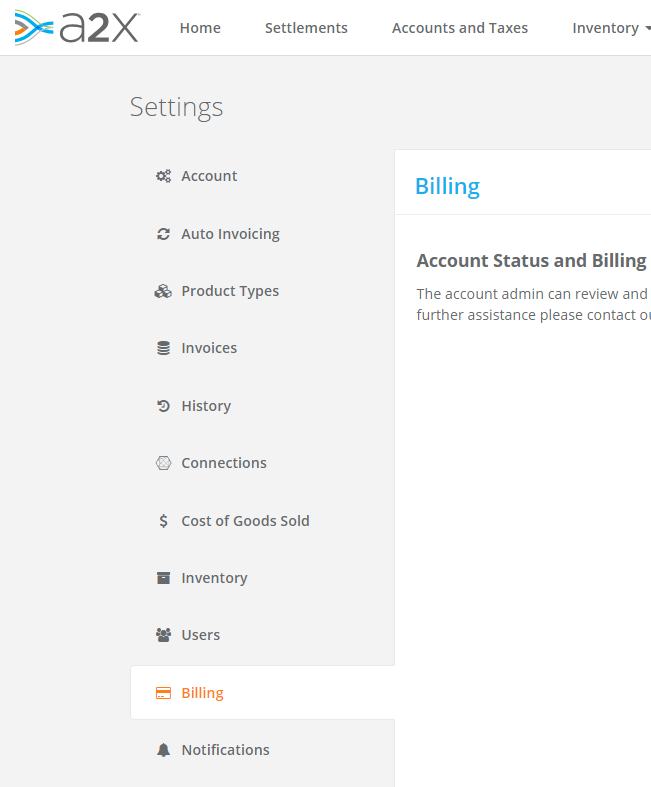 Go to your A2X Settings > Billing and then follow the instructions there to complete billing cancellation. Please Note: Your account will revert to a free trial and you will be able to return anytime to resume your accounting on A2X. Closing your account is different. It is useful for deleting A2X accounts that were trials but you never subscribed. It can de-clutter your account list, however, it is not a necessary step to stop billing from A2X. 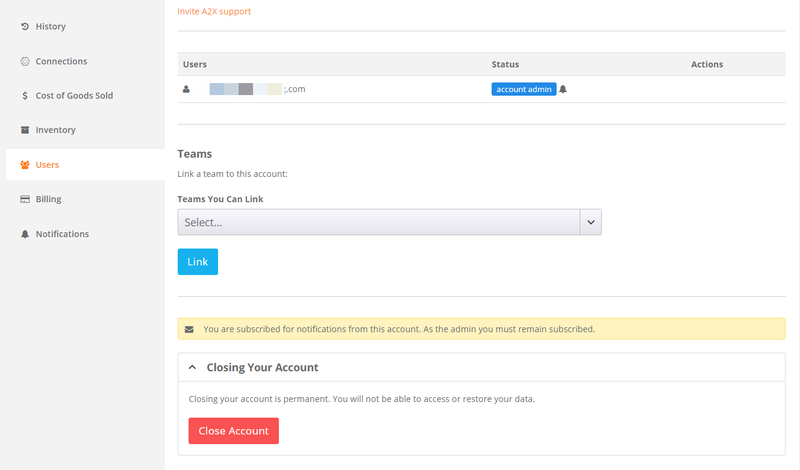 Go to your A2X Settings > Users and click on Close Account. Please note: Closing your account differs from canceling your subscription, and it is permanent. You will not be able to access or restore your data.